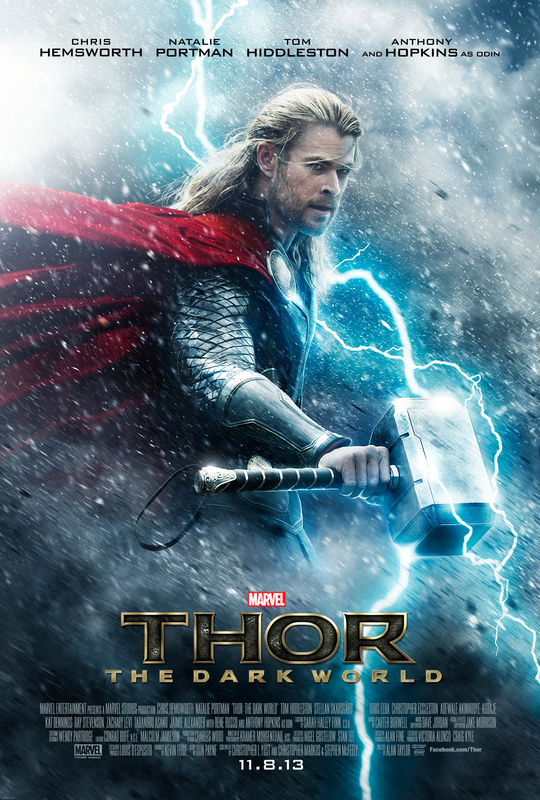 Thor was one of the less well received of the first cycle of Marvel films. Whilst it had issues, I thought it was a pretty interesting flick. The sequel will be hitting screens this year, and this trailer suggests plenty of intrigue coming our way. It is one of the few trailers where the voiceover works and the whole thing has me pretty keen to see the end product. So am I actually. Especially after seeing Iron Man 3 which I really enjoyed. This trailer played when I went to see Iron Man 3. You have no idea how many screams I heard when Tom Hiddleston popped onscreen at the end. It was insane! I’m looking forward to The Dark World too, though. I liked Thor – more than the first Iron Man, actually. I’m only disappointed that Patty Jenkins didn’t end up directing The Dark World because it would have been nice to see a major superhero film directed by a woman. I don’t know how her aesthetic would have worked in the context of a Marvel blockbuster, but it couldn’t be any weirder than the first film being directed by Kenneth Branagh (which I think worked out OK). I quite enjoyed the first Thor film as well. I preferred the first Iron Man personally, but they are both quite different films. And I agree, it would have been great to see a female directing one of the Marvel films. Would have also been cool to see them continue the left field directing choices after the absurdly awesome choice of Kenneth Branagh first time around.